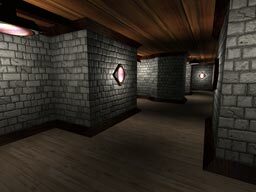 While my previous deferred shading demo showed deferred shading at its best using an extreme amount of lights this demo shows a more real-world scenario. Hence it's also implemented differently. The main bullet point of this demo versus the previous one is that multisampling is supported. In D3D10 we have full access to the samples in multisampled surfaces, and in D3D10.1 this is extended to depth buffer as well; however, it's still tricky to make it work and perform well. Since the geometry for the lighting (which in this demo is a sphere) is separated from the underlying buffers we don't automatically get any information about which pixels belong to edges and need to be evaluated for all the samples and which pixels only need a single sample evaluated. This demo separates these two cases using a stencil mask. 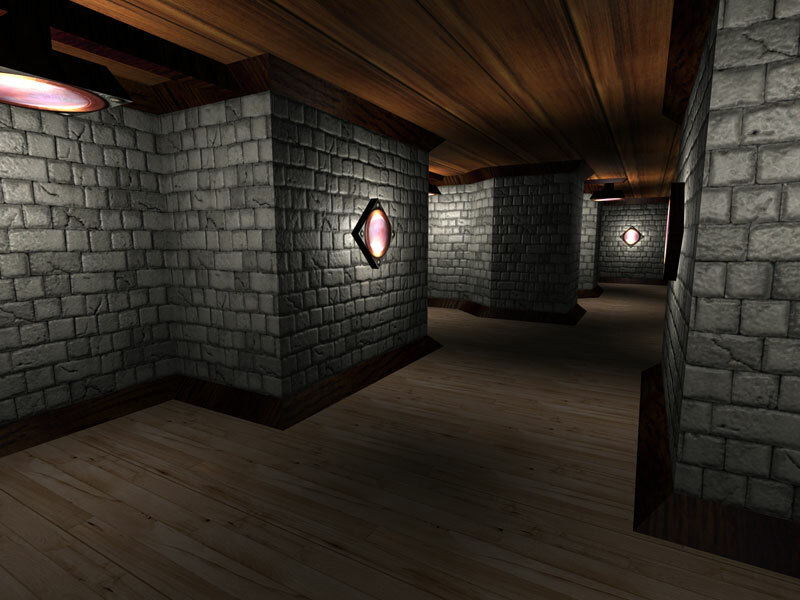 First the scene texture, normal and depth is rendered into multisampled render targets. Pixels that are partly covered are detected using centroid sampling on the SV_Position register. If the sampling position shifted from the center, it's an edge pixel. This is written to the alpha channel. An ambient lighting pass is then rendered as a fullscreen pass to the backbuffer (which is not multisampled) and the resolved edge flag comes out in the alpha channel. The backbuffer is then sampled as a texture in a pass to create a stencil mask from the alpha channel by writing 1 to stencil and discarding fragments where alpha is zero. The lighting is then rendered as two passes using the stencil mask to select pixels. One pass with a simple shader that only uses the first sample to compute the lighting, which is used for the vast majority of the pixels, and one that computes the lighting for all samples, which is used for edge pixels. Using keys F5-F7 you can compare this technique (F5) to the naive approach of evaluating the samples on all pixels (F6) and that of using single sample shader on all pixels (F7). On F8 you can see what's in the stencil mask.